General view, Springboig, Glasgow, Lanarkshire, Scotland, 1937. Oblique aerial photograph, taken facing east. Description General view, Springboig, Glasgow, Lanarkshire, Scotland, 1937. 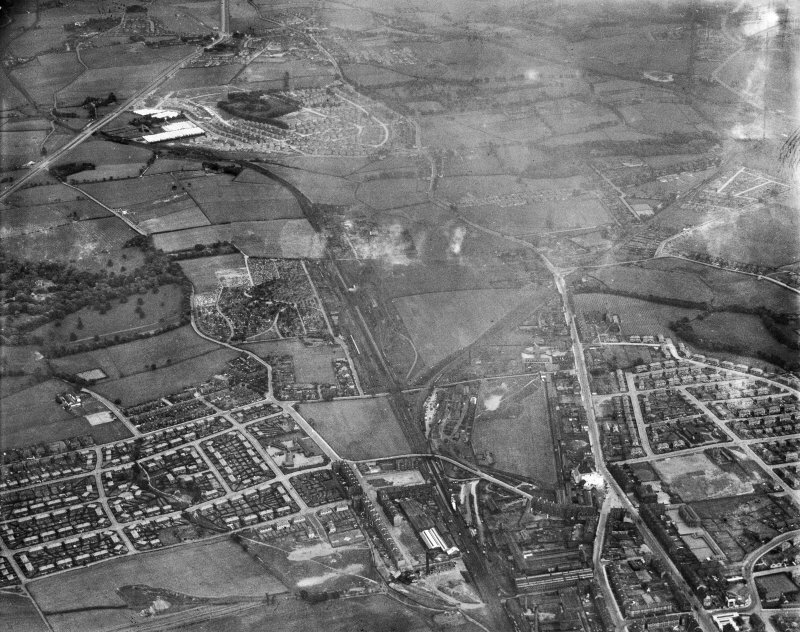 Oblique aerial photograph, taken facing east.